List of Organizations/Positions/Countries attending the event. Experiences and developments of EBA, ECB, EIOPA, National Authorities and Reporting Entities about COREP/FINREP & Solvency II. Data Point Modelling. Tool for Undertakings. XBRL Standards & Best Practices. EU technical discussions. 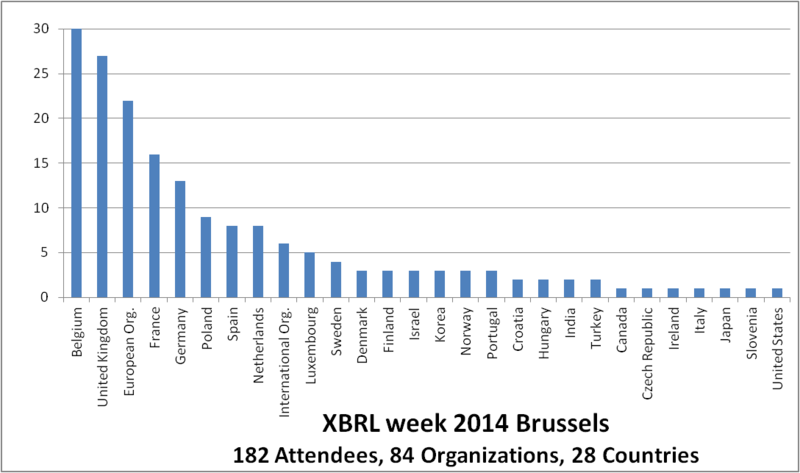 XBRL Europe members and stakeholders. Supervisors, experts in supervision/filing (IT and accountants as well), project managers, solution providers, vendor representatives and consultants. Eurofiling workshop is more oriented to people involved in COREP/FINREP/SolvencyII and other implementations. Registration has been closed at Friday 14th COB, November 2014. 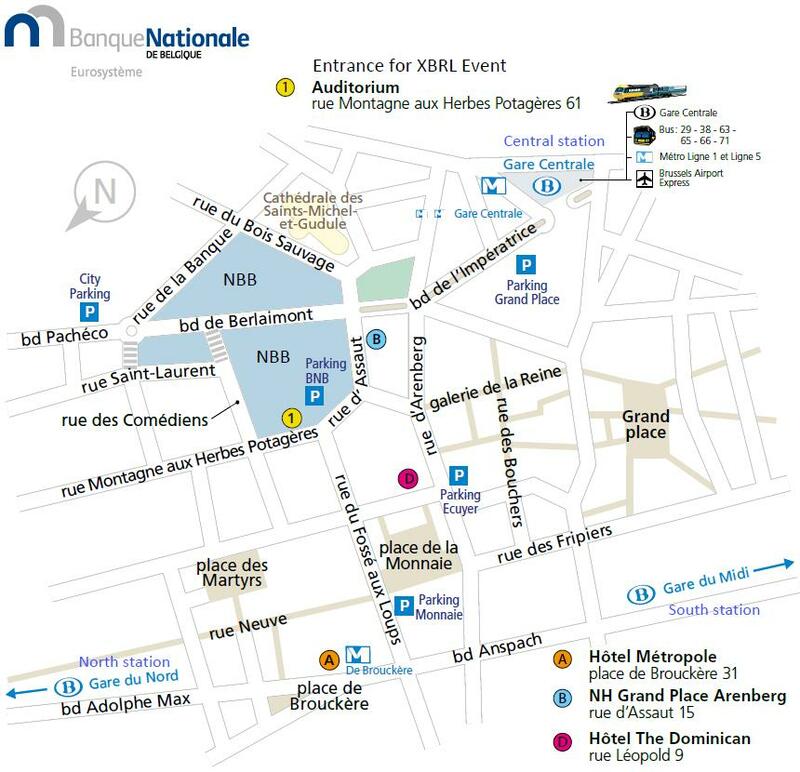 The venue is at National Bank of Belgium, Auditorium entry, located at Rue Montagne aux Herbes Potagères 61, Brussels historic center. Security checks applies. Brussels Airport is at 15 Km, with 4 trains per hour (17 minutes) from Central Station (550 meters walking). Low cost airlines also at Charleroi Airport (60 Km).